Dainty 2 Open Heart Together in 14K gold. This’s amazing gift for any time. 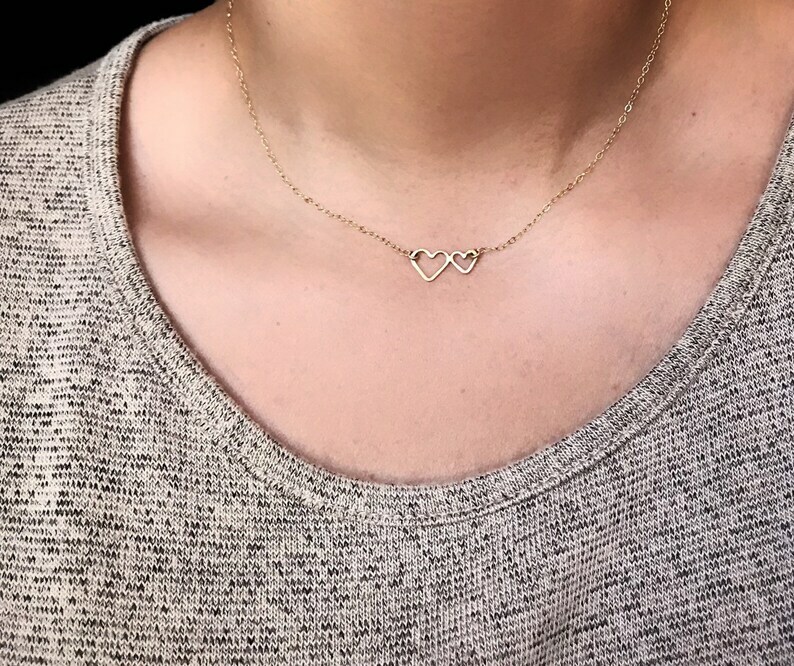 This necklace symbolizing the love you share with the other person in your life. These open heart are 100% Handcrafted by Camila Estrella. ❤Material: 14K Yellow Gold, 14K Rose Gold, 14K White Gold or Sterling Silver.